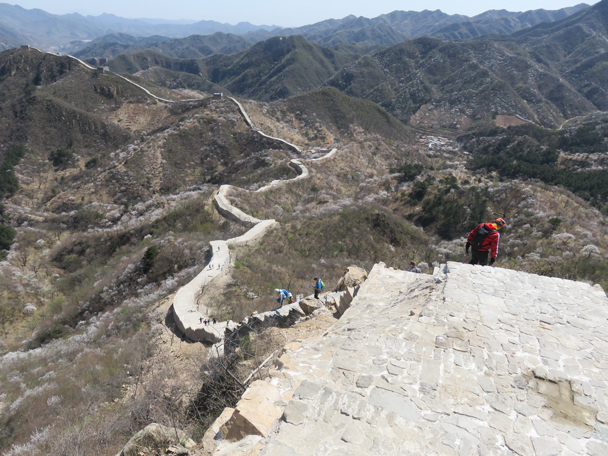 The first thirty minutes of the hike was reasonably flat, following repaired wall along a ridge. 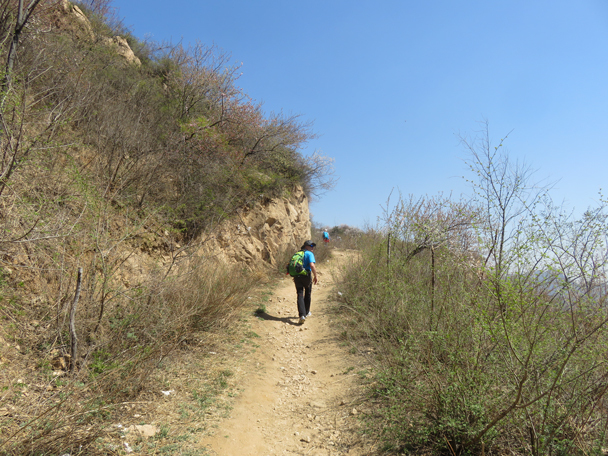 But soon we got to some steep parts, with the Great Wall going up and down between crags and boulders before descending all the way into a deep valley. 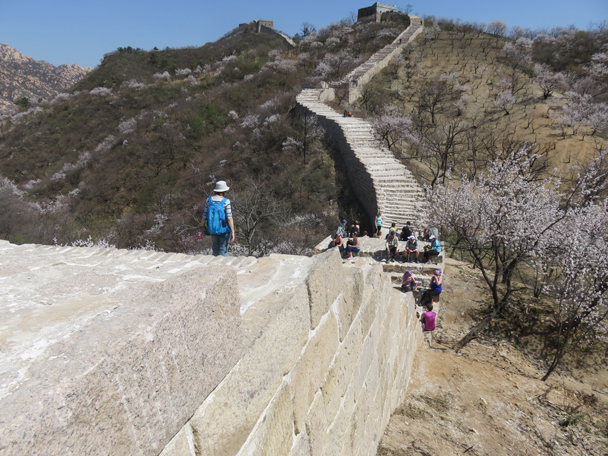 We continued along the wall, making a detour around more cliffs and then up on to an unrepaired and rough line of Ming Dynasty-era Great Wall. The hike finished with us climbing down into another valley, and then up hill trails and through villages to end close by to where we began. 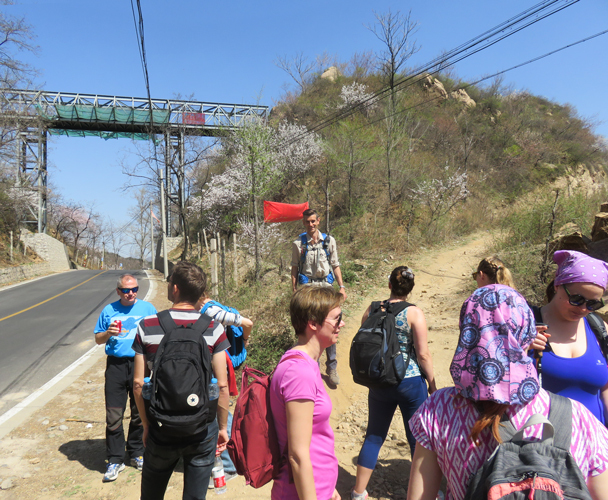 We had super views of Great Wall, mountains, hills, valleys, and flowers. See all the photos below. 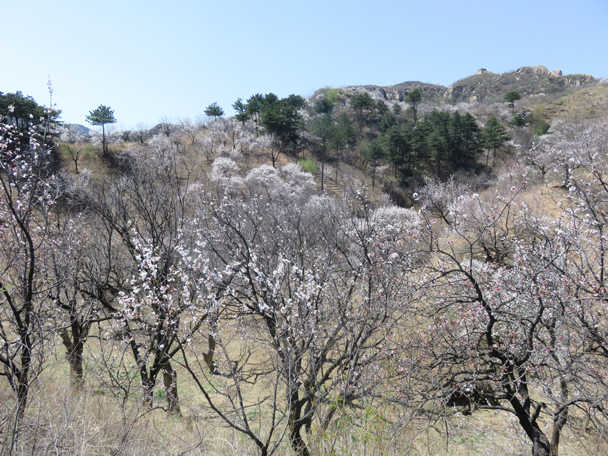 It was a colourful hike – flowers in the hills, and bright clothing on the hikers. 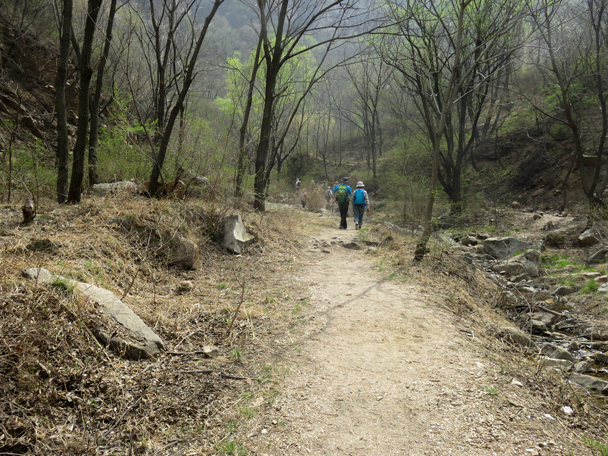 A dirt trail took us up to the Great Wall. 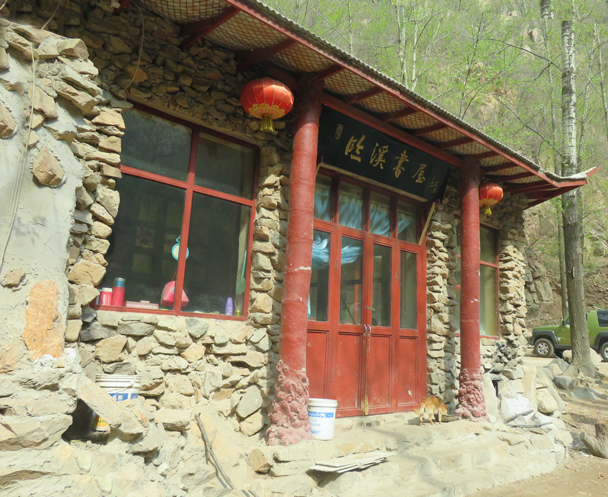 The repaired line of wall at Longquanyu. Down at the first dip. 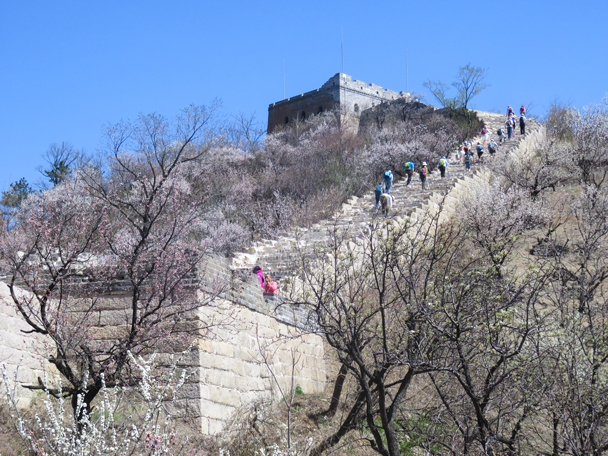 And heading up again, with the wall surrounded by flowers in bloom. To finish, we followed trails up a long valley. 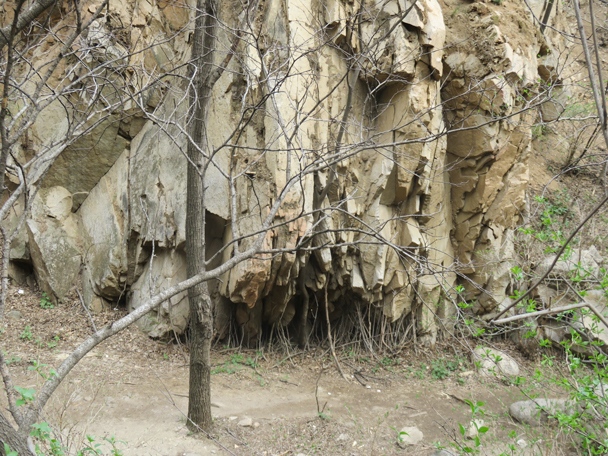 Sticks wedged into a gap in the rocks – spooky! 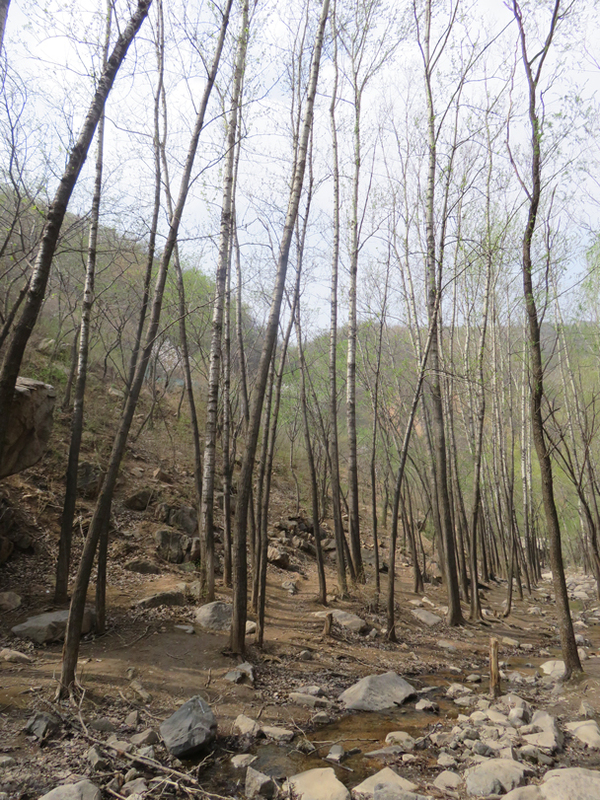 Birch trees in the valley. A rustic little house in the valley. 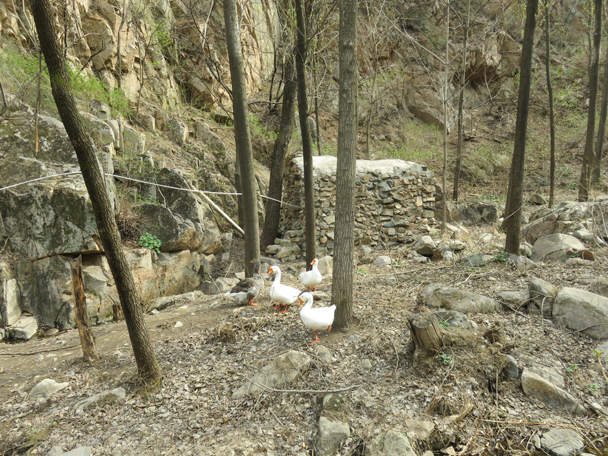 And after we passed the geese, we hiked another thirty minutes to the finish.